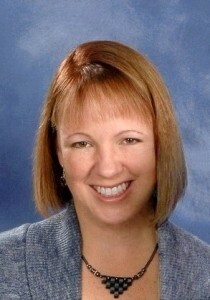 Carol was born in Dearborn, MI, and lived in Eugene, OR, and Orange, CA, prior to moving to Kansas in 1987. In 1996, she graduated with a Bachelor of Science Degree in Telecommunications Management and was employed by Sprint’s startup cellular telephone company, known as Sprint Spectrum, LLC. Over the course of her time with Sprint, she worked as a Systems Analyst, Voice Systems Engineer, Network Engineer and Manager of Network Security. Carol became a parishioner at St. Paul in 1999 and married her husband, Mark, in 2003 at St. Paul. They are blessed with 3 wonderful sons. Carol has worked in the St. Paul Office since October 2014. She enjoys being part of this amazing community and helping spread God's message.